Far from it being a retail apocalypse, the proliferation of data and technology has pushed us into a retail renaissance, said Salesforce at Dreamforce this week. 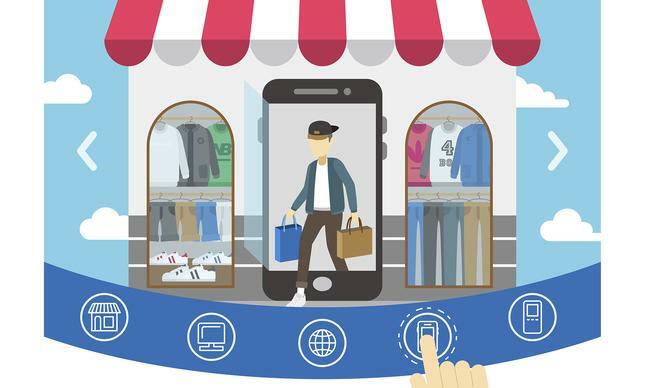 The vendor's VP retail and consumer goods, Rob Garf, pointed to research that found 55 per cent of shoppers suffered from disconnected experiences, said and it is going to take intelligence, innovation and integration to deliver what customers want. “We are amid great change, where everyone is connected and smarter. It’s not a retail apocalypse; it’s the retail renaissance. There are brands doing really well in redefining how they think about customer expectations and putting them at the centre of what they do,” Garf said during his Dreamforce keynote. Fashion brand, Diane von Furstenberg (DVF), recently did just this, with the launch of DVF360 powered by Salesforce. The 3D shopping experience sees shoppers transported to the DVF flagship store in New York to browse the brand’s Fall ‘18 collection. Shoppers can explore products and content in 360 and also make purchases. The customer journey culminates in Diane von Furstenberg's office in New York, giving them an intimate, behind-the-scenes view of the designer’s personal workspace. “Since Diane von Furstenberg and the DVF brand have global recognition, we wanted to provide digital access to our DVF headquarters and invite consumers to experience the brand from the inside,” said Diane von Furstenberg CEO, Sandra Campos. Salesforce said launching new customer experiences isn’t a once a year or a once a quarter activity—the companies that are winning understand the importance of moving fast and innovating for their customers every single day. “Shoppers are insisting we move from transactions to relationships. Fifty-five per cent of shoppers say experiences are disconnected, 64 per cent say retailers don’t really know them,” Garf continued. “Even with digital transformation and mobile, we still have a long way to go to connect the digital dots between online and offline. According to IBM, there is 2.5 quintillion bytes of data crated every day, but even with this data, we’re not adequately infusing this data to create relevant and personalised experiences. 1. Integration to provide seamless engagement. 2. Intelligence, accessed by back end as well as front line, for next best action and real time orchestration. 3. Innovation, collaborations, and agile experimentation. “Everything is a service. Meaningful, relevant relationships are critical in the retail renaissance,” he added. Ralph Lauren CIO, Janet Sherlock, put innovation at the forefront of the retailer, with central two elements being technology and the customer. Ralph Lauren recently launched a B2B platform via Salesforce, and also launched the ability for consumers to create their own customised polo shirts . “We lead with digital, and place the customer at the centre of everything we do. Currently, we are working on myriad of innovations affecting the customer,” she said. “We are creating a global 360 view of our customer, so whether they are online, in store, on mobile, or contacting a call centre, we understand how they want to interact with us, and we use AI to ensure we are engaging in the right way, personalising, presenting our communications in exactly the way they want." - Vanessa Mitchell travelled to Dreamforce as a guest of Salesforce.